Come to your senses with Sensory Revolution! 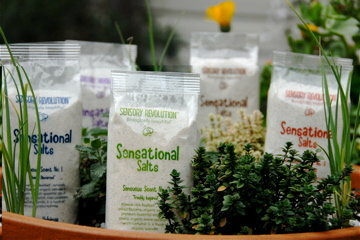 Lisa brings artisan aromatherapy (salts, sprays & concentrates), nourishing seasoning blends, and fun ways to connect with your senses. Catch the Sensational Salts in Lisa’s purple rickshaw, this Thursday at MCM.